This wide-beam bowrider from Four Winns offers both a head compartment and a single-berth cabin. Following up on new 2013 launches like the 265 Sundowner we captured on video at the Miami Boat Show, Four Winns recently released specs and photos of its new Horizon 290. 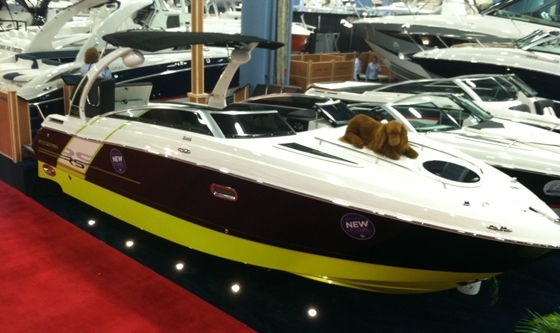 This is a wide-beam luxury runabout, which will be a highlight of its 2014 model line. 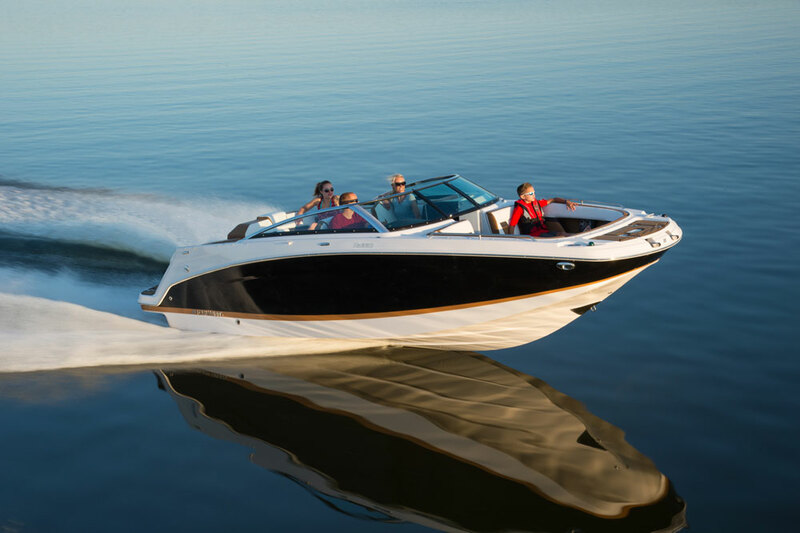 The 29-foot Horizon 290 has a beam of 9’ 5” inches and is designed as an all-day family boat with the size to handle bigger water, and the unexpected convenience of both a head compartment and a single-berth cabin area. 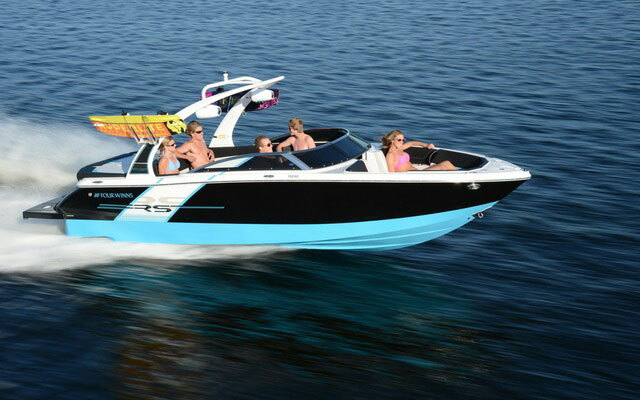 Four Winns has been introducing a lot of new models lately, with the newest being this 290 Horizon bowrider. Features of the Horizon 290 include a roomy bow area chaise lounge-style seating with adjustable headrests and integrated arm rests. The bow footwell makes an L shape to port to create a traditional seat on that side, while there’s a wrap-around seat to starboard. Cockpit features include a motorized captain's seat, an optional galley and an L-shaped lounge. There’s the expected head compartment within the port console, while to starboard a small changing compartment with a single berth fits below the console and the bow seat base. Light wood finishes and a through-hull port fills the cabin area with natural light. 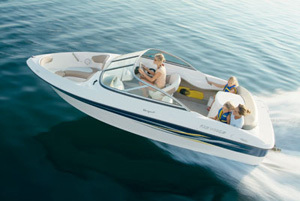 Instead of a flat sunpad, the Horizon 290 has a one-touch automatic sun lounge with a seat back that moves fore and aft, to create a seating area that can either face the cockpit or the low-profile swim platform. 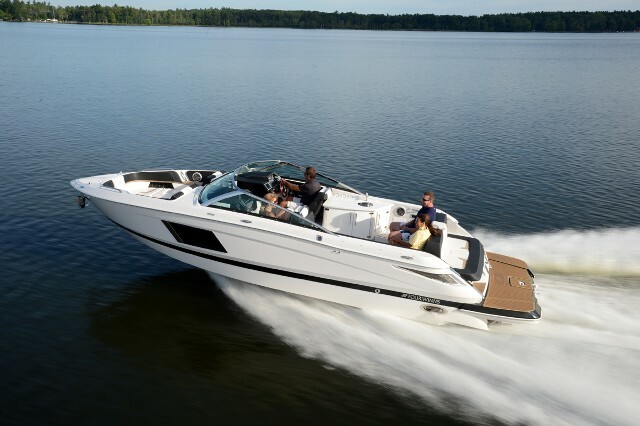 The boat rides on a Four Winns Stable-Vee hull with 21 degrees of deadrise. 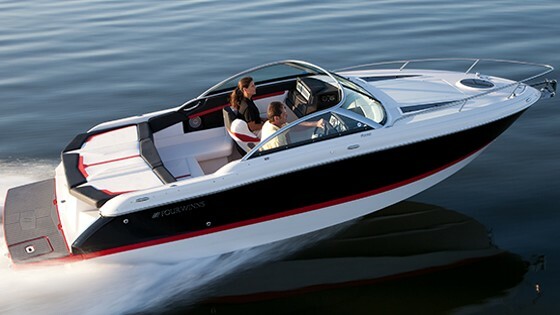 Power options include single a MerCruiser 8.2 MPI sterndrive and twin MerCruiser or Volvo Pentas with a combined 760 horsepower. In addition to launching the new Horizon 290, Four Winns will expand its RS series to more models in 2014. The brightly-color, sporty interior and exterior look will be offered for 18-foot to 26-foot Horizon and Sundowner models. 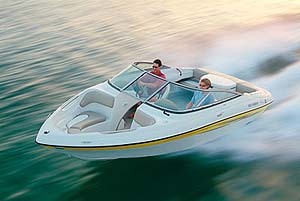 (Read Four Winns New Sundowner S235 and Horizon 190RS, for more information about these models). The vivid green color offered last year returns, joined by a new and equally vivid blue shade. For more information, visit Four Winns.